As I walk down to the play area from my home, I realize that it has been ages since the kids had what I presume their we-playtime in the play area without their friends for company. The sweltering morning sun has suddenly hidden behind the clouds and we now have a low rumbling thunder for company even as a pleasant breeze blows. My thoughts wander to how fast the last one month has swung by. The Cambodia trip, the start of a new school term for my daughter S after a short break, Navaratri preparation and then Navaratri itself. It has been a busy month, albeit a nice one. This entry was posted in Life's Like That on October 24, 2018 by admin. I wait for the words to pour out, but the mind is blank. Words refuse to come. About which new happening will you write which hasn’t been already written about? About what will you rant and whine which you haven’t done already? I ask myself all these and more and let silence continue to dwell here…. This entry was posted in Blogs, Life's Like That on September 1, 2018 by admin. You know how Google Photos (I used it a lot more frequently when it was still Picasa and there was no WhatsApp.) often throws up those ‘Rediscover this day’ photos, don’t you? Those photos from the past belonging to the same day but a different year. It was one of those albums from 2009 which popped up sometime in late March that had all my erstwhile interests rekindled in full swing, reminding me that all those dreams and interests were still there inside me in all fervour. The photos were from a trip to Mysore that I had gone to with my friend. And dominant among all those was the wish to explore different places – be it in Singapore itself or elsewhere in the world. I also realized how much I was missing visiting all the old temples in Southern India – all architecture marvels and divinity personified. This entry was posted in Life's Like That on May 14, 2018 by admin. 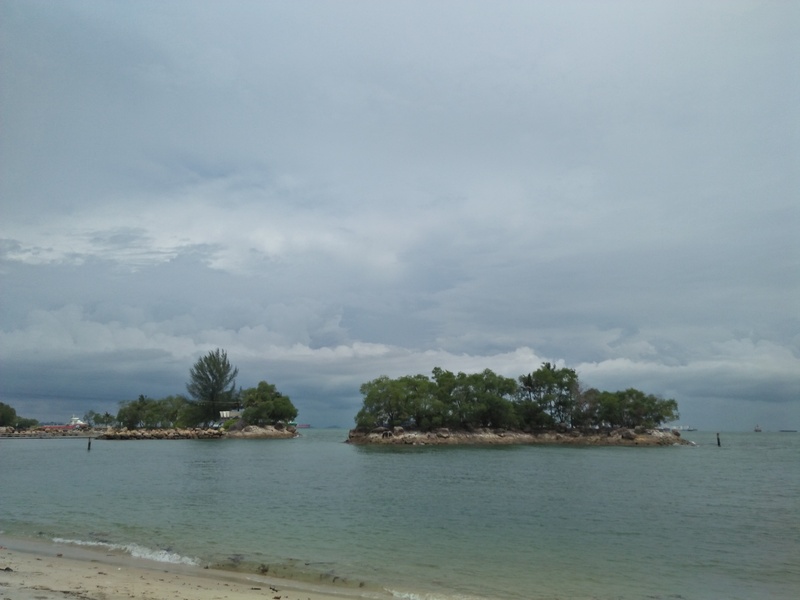 My husband and I share the love for going on long walks and in the initial months after moving to Singapore, we did so much of walking and explored a major part of the roads, lanes and places of interests in Singapore by foot. With just one infant to carry, we could easily walk in a good pace and have a good conversation and get a good workout done too. But, nowadays, we rarely go for long walks and no longer walk in our own fast pace and have had to slow down. I, especially being the SAHM, rarely get the chance to walk in my usual speed since I either have to carry my toddler or slow down at regular intervals to talk with my children. I didn’t realize how much I was missing walking at my own pace until I went for a solo walk a couple of weeks ago. A brisk 30-minute walk later, I was feeling refreshed and I also got to work on my mindfulness, relaxation and all that. It also struck me that it has been about 6 months since I stopped carrying my son and going for a long walk on a daily basis to make him sleep. That walk used to be my time to think through things and relax. I realized how much I was missing my favourite activity of walking and have since revived walking on a daily basis for a continuous chunk of time, if not at a very brisk pace, at least at a reasonably fast pace. We also went for a few long walks recently with the kids enthusiastically running along. Another change in the routine is my son suddenly having lost his interest in running to and fro the daughter’s school and the bus stop and asking me to carry him. I am forced to carry him on the onward walk to school lest we get delayed. But the point is at least that negligible distance of running that I was doing on a daily basis is now almost not there at all. Here’s to more walking and becoming more active! The past few weeks have been crazy. A major part of March saw both my children being down with cold and fever which translated to plenty of sleepless nights and unfinished meals. While April was definitely better than March, it also saw the reopening of school for my daughter after a ten day break. The first couple of weeks of the new academic year saw us struggling to get back to our morning routine after the previous month full of half-a-day school and study holidays and annual vacation. The mornings were becoming stressful, there were shouting and yelling too and plenty of naughty acts by the little one too. We seemed to be at least 4-5 minutes late to school everyday. Then after a round of self-counselling, I started becoming a lot more calmer in the mornings and now for almost three weeks now, we have been reaching school well on time. My daughter and I have almost bid adieu to our morning stressful moments. Forget about me-time, there is not even relaxing moments on most days. With my husband having a crazy, hectic schedule at work, the kids are fully only with me for most of the day and I can see the three of us getting on each other’s nerves every time the same naughty acts get repeated or the same little safety rule not being followed or the same refusal from me for telling a very lengthy bedtime story at the end of a crazy, tiring day. Even as I refuse to play or tell a story or scold them for yet again leaving the tap open or forgetting to put the markers in their place, I also feel guilty – guilt at not being able to handle it all in a better way. Recently, sitting at Kailash Parbat waiting for our food to be served, my topmost concern seemed to be to make sure that my naughty little one didn’t end up pushing or breaking the serveware. Despite being offered a nice, cozy seat and served tasty food in a restaurant with such a nice ambience, I just didn’t seem to be fully relaxed. Maybe it is these crazy days or those physically tiring days or maybe the lack of intellectually stimulating activities or maybe that annoying worrying habit of mine which surfaces way too many times in a day when my child walks at the very edge of the platform or runs down the stairs all alone or refuses to eat a proper meal all through the day. It is time I started relaxing a bit more. This entry was posted in Life's Like That on May 11, 2018 by admin. It could be something as simple as the joy of riding a Scooty on Mount Road, or something as retail-therapeutic as shopping in T. Nagar, or some little pleasure as indulging in a channa samosa at Shree Mithai, or something as comforting as being able to visit the family paediatrician when the kids end up with fever, or something as fun for the kids as playing with their close friends who also happen to be neighbours, or something as relaxing as going for a long drive on car with Rahman’s music on at high volume, or something as emotional as the joy of being able to see my parents at any time that I want to right away! Madras! – Oh just how much am I missing you! At this point in my life, the very fact that I can get to experience this life in Madras at least for a few weeks every year is what matters the most to me. This entry was posted in Life's Like That, Madras on May 9, 2018 by admin. Alas it will take years or ages for things to change for good. Meanwhile, ladies, let’s rock on and enjoy our lives, even as we juggle several powerful roles on a daily basis. This entry was posted in Life's Like That on March 8, 2018 by admin. Reminiscence – This is probably one of my most favourite words. Every time I sing/listen to those lovely lines from the song Rasali, I only love them even more! What beautiful words to describe those cherishable moments of life. Those reminiscence-worthy moments of life! At this juncture, I also remember one of my favourite sayings – ‘Life is not measured by the number of breaths you take, but by the number of moments that take your breath away!’ It’s only in our hands on how we carve out every moment of our life to be. This entry was posted in Life's Like That on March 7, 2018 by admin.